100% Chance of Weather Today – Enjoy It! It’s easy to forget that weather reports don’t have to be bad (especially when it’s chilly and raining outside). So here’s a quick reminder. 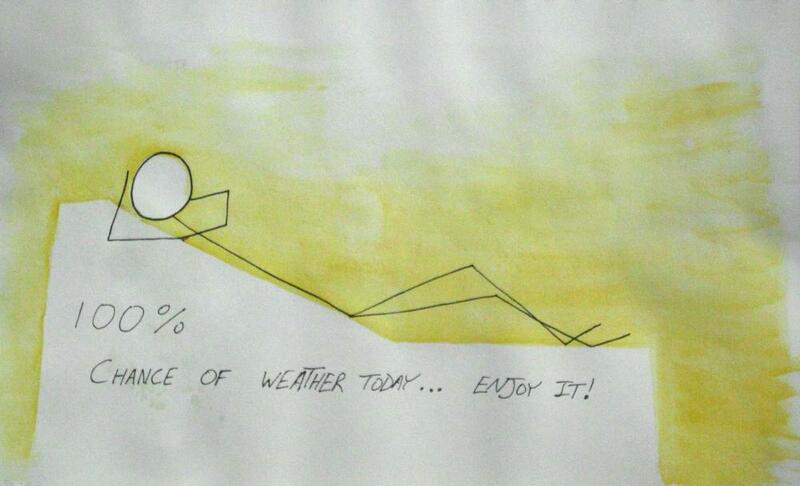 100% chance of weather today… Enjoy it! Next Next post: Don’t Forget to be AWESOME!